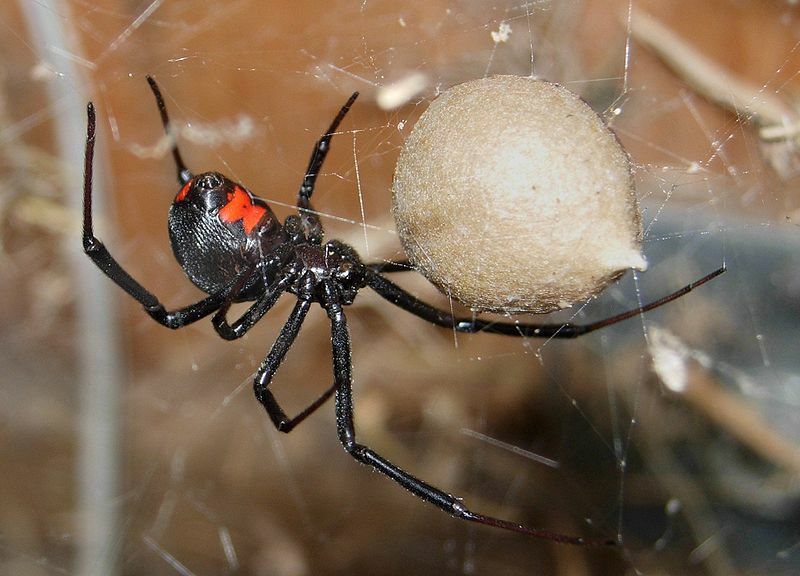 Our spider pest control will combat the presence of black widow spiders among others. Many people move and vacation here from New England and other northern climates where these arachnids are less common so being aware of their presence is the best way to avoid them. This spider is highly venomous and should be avoided. I wouldn’t call the black widow experiences I’ve had on my property common, but I have been startled by a few over the last couple years. Locally I’ve found them under trash cans, lesser used dumpster lids, in wood piles, under houses between floor joists and other dark and seldom disturbed places. 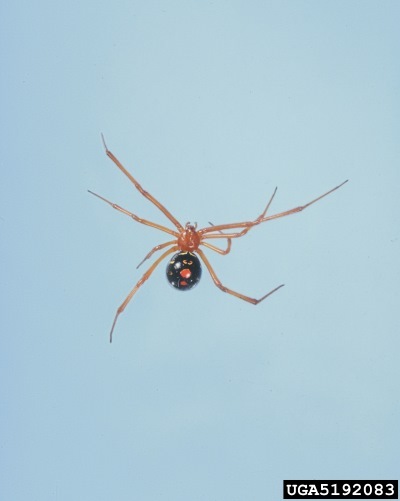 Another less common closely related local resident is the Red Widow Spider (pictured). See other noteworthy Naples area spiders.